Work for Brown Paper Tickets? Learning about Brown Paper Tickets? "Easy to use platform for ticketing services"
It is very very easy to use. All the events that you create gets validated and reviewed and then they get live. So yes the process is this simple. All the features they are providing are pretty good. The only thing I dislike could be the cost is a bit higher according to my opinion, otherwise it is a good platform and I have not experienced any problems from here as of now but will keep this review updated. I would recommend this to all those who use such services. Just don't think that their price is a bit high instead look at the support and features/functionalities they provide. At least give it a try. Being a software company, our company host many events like seminars and competitions and all. So, yes I have used this site to host an event and it went well organized because of this platform. "Easy ticketing for local events, conferences, etc." Lost of local events listed in the application; easy to buy tickets to shows, company networking events, etc. that the bigger companies don't support. Good search function by area. Not much I can think of really. maybe allow for more payment options and make the UI a bit more intuitive? overall I think it's a good platform for ticketing of local events and is often the only option for local conferences or speakers. Good ticketing platform for local events. Definitely worth a look if you need to ticket an event for your company. very helpful for us to buy tickets for small local conferences and events. Allows us to send staff to local speakers, technical events, or conferences. I like that you can choose different currencies regarding ticket sales. This shows me that this company can grow globally. They will reimburse you for ticket processing costs from your credit card processor. HOW COOL IS THAT!? Hands down the best feature compared to other companies that want to make money off of fees. This helps me keep my ticket prices low. Super low fees of only a dollar. So far there hasn't been anything I dislike. I only wished that more people knew about them and they would use this company rather than Eventbrite. I would definitely recommend you try to use Brown paper tickets it is basically free for charity events and fundraising and your customers only pay a $1 fee rather than those pesky 7-15 dollar fees that eventbrite charges. Selling tickets at 0 to low cost to my business and my customers do not pay high ticket fees. As a producer, I find the system is very accessible and easy to use to set up ticketing and I am happy with the tech support. The system is transaction based not patron based. So my organization can not track a patron's buying history over time nor it is collected and accessible toward developing a relationship with that person. So while BPT allows ticket sales, my organization will need other systems for relationship management, fundraising, etc. The fees charged to the ticket buyers are competitive. If you have several events over time it be better to try another system where you can embed the costs of using a system into the ticket prices themselves. As an administrator who has set up box offices, I don't like that the system is not branded to the organization. The patron who starts on the organizations website might be confused when they go to buy tickets - it is clearly to a 3rd party system. If customers have questions or issues - Who do they talk to? I think a branded online sales system on my website is a much better idea. "Socially/environmentally responsible and great customer service, even if it is a small company"
I've used it off and on since 2008. For events and trade shows. Ease of use is quite high. I've always gotten a quick reply to email or phone calls for support. I've never used it for events larger than 200 people. Lots of good reporting options. They make it so easy to schedule multiple events and it's also easy to go in and block out certain days. They've also kept me on my game by making sure everything is correct. Brown Paper Tickets is a little messy visually. I realize it's a back-end made for utility, but it can be a bit confusing the first time you try to enter information. They're a bit of a smaller company, and while customer service is great, making a ton of changes on the fly is not ideal. Best for more matured events, especially if you're printing the tickets. I go to the site, build my fundraising event, and it goes live after it is reviewed and approved by Brown Paper Tickets. They handle everything. And, they provide periodic email notification of the progress of your ticket donations. You should use Brown Paper Tickets. The price is a little high, especially compared to other non-profit ticket sellers, but it's because they mail out within 48 hours customizable tickets to each purchaser. So far the only reasonably priced non-profit focused ticketing solution I've found who does that and it's an absolute must for our event. "They handle all the ticketing and tracking for my fundraising events." This got 8 points only because they have some really great functions/features that take a little bit of dedication to get down. But their customer service is AMAZING. The program is easy to build your promotional material for your event. Once it is loaded, you can access multiple links for access to your event from different venues, such as website, Facebook, Twitter, electronic newsletter, etc. It's great! The price is a little high, especially compared to other non-profit ticket sellers. I struggled a bit with the proper language to use as a nonprofit organization. For instance, we should avoid using "ticket sales" and present "suggested donation" instead. Brown Paper Tickets had a limited selection. After discussing this with them, they helped me work out the best solution, which was "admission donation"
I highly recommend this service because of its intuitive interface and its amazing customer service. I go to the site, build my fundraising event, and it goes live after it is reviewed and approved by Brown Paper Tickets. They handle everything. And, they provide periodic email notification of the progress of your ticket donations. "Holding an event? Here is the solution"
Super easy service with no fees to sell tickets unlike a number of other services that charge a huge premium cutting into your profits. The fee that buyers pay is 1/10 of what they would have to pay on other sites that often have fees adding up to around half the cost of the ticket. The process is so simple and easy and they accept credit cards too! The site is not very aesthetically pleasing and looks a little bit outdated with the bright orange. You can't go wrong. Take a break from the huge corporate giants and try a company that has you as their focus. It simplifies the whole process taking it from a complicated headache to a simple solution with a few clicks of a button. Their customer service is honestly incredible and just a phonecall away any time you need them. This level of support is unparalleled within the market. I trust them to handle my information securely and they always deliver. "Good Website for Event Ticketing"
This is one of the easiest and most straight forward websites that I have ever used. I have used this for countless events that I have attended and would highly recommend using this if planning a smaller event. My primary dislike of this website is the fact that they charge a processing fee and I was looking forward to being able to not worry about that after the Ticketmaster lawsuit that ended in vouchers being given to customers. I would highly recommend using this for any event especially local concerts and festivals as it is super easy to use and I have enjoyed it thoroughly as a customer! I am not solving my own business problems with Brown Paper Tickets but have found it very useful with local companies and festivals that have used it and I find it extremely easy to use every time. What's not to like? They handle online sales for you. They handle printed tickets for you. They will send you super cheap printed tickets for you to sell yourself. Everything about the service and site is easy to use, and their customer service is top notch. If I had a gripe, it would be at the surcharge. But the ticket buyer pays that, and I can adjust prices to make sure I'm hitting the price point I need. Give yourself enough time to receive tickets in the mail. If you're doing something last minute, use a local print shop. Ticketing is not super complicated, but cash handling can be. WIth too many hands in the pot, you're just asking for something to go wrong. This online ticketing solution creates an internal control that simplifies issues come audit time. "Awesome service if you need physical tickets!" The customer service, hands down, is the best I've ever seen with any kind of event organization or ticket selling site. They are always friendly and more importantly are able to solve problems in minutes - not hours or even days. When you're actively selling tickets to impatient ticket buyers, this is critical. Their physical ticket option is what keeps us coming back to them. We have plenty of people who love to use the mobile or even print at home options, but we have quite a few traditional event goers who want a legitimate ticket in hand. They also have great customization options for their webpage, giving you the ability to do a lot more than many other ticketing organizations. I also wish they paid out as you raised money rather than at the end of your event. Their website layout is a little old fashioned looking - I understand that part of that is because you have so much flexibility in what you can do on the ticketing page, but a nice facelift definitely wouldn't hurt. Do not rule them out just because their fees may seem slightly higher - the functionality is amazing and the ability to let ticket buyers select a physical ticket and have it mailed to them for free is truly amazing and makes you as an organization look extremely professional. They solve our ticketing needs for two major events (1200 guests and 500 guests) each year. We are able to collect ticket buyer information, customize our pages, give different price options, include discount codes. Ultimately we were able to take our entire ticketing process, which was in house, and for a pretty nominal fee, use Brown Paper Tickets to manage everything - included day of will call lists and continuous event tracking tools. "Great platform, well-liked and easy to use"
It's easy to use by hosts and users alike. I see tons of events on BPT so there are plenty of events to choose from. I really appreciate that BPT says they are "fair-trade" right in their tag line. It seems difficult (or impossible?) to collect data from users/attendees. Download the app! It always saves time and is free/easy. It is always free to host events, which is great for non-profits and other orgs. "accessible, simple, but not fully convinced"
i haven't personally experienced any problems, but i know several people who have stated that it's a hassle to receive refunds from BPT. "The best for Physical Tickets!" Customer Service is hands down amazing!! "Easy to use with great service"
Brown paper tickets made it easy for our small business to sell tickets to an event we were sponsoring online. It was our first time selling tickets online and it was very successful! We were able to print out a list of folks that purchased online. Starting to sell tickets online!! I like that the initial screen is straight and to the point. It highlights events, not ads. It looks outdated. The site doesn't give off a fun vibe. It should be more tailored to integrating with your calendar apps too. Be in the same way. The best way for Busy people to arrange their work. I love how user friendly the website is, that its free for our company to use, and that we can ask buyers flexible marketing questions when they order tickets. I wish it was easier to add buyer buttons to emails. Be aware of the total cost to ticket buyers after Brown Paper Tickets implements their fees. 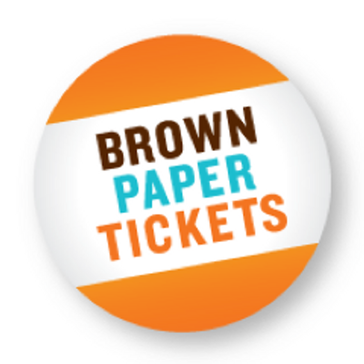 With Brown Paper Tickets, my company can presell tickets online without any cost to us. It helps us to track and plan for the size of our audience and the market of our audience.
" friendly user interface that makes connecting with consumers a breeze"
That easy-to-use design and customer service online help. "I used Brown Paper Tickets for multiple events for my restaurant clients. " I love the simplicity of this platform. It's extremely user-friendly and thorough with all the information you can provide. The only thing I don't like is that it's not that popular, so may appear not secure to some customers. Business problems being solved are selling tickets for events and getting in front of customers who may not have seen your event elsewhere. "Its an easy to use software and friendly"
Its Free to create an event and sell tickets! ticket management support for every event the company act as host. "Fair trade tickets for a fair price "
Need to sell tickets but have a low budget? Brown paper tickets is a fair trade business that enables your business to host events and sell tickets for free! A low cost is charged to each purchaser of a ticket to enable the business. Event hosting and ticket sales! "Great for nonprofits + nonprofit events"
Easy to set up and run events. Seamless for both users and admins, and it's easy to add discount codes, etc. They also have fantastic customer service, which is great for nonprofits and people who aren't necessarily event professionals. They take a somewhat heftier cut on credit card purchases, but you get what you pay for, which is a pretty rad experience. The nonprofit I'm on the board for has used BPT to do ticketing on multiple events. * We monitor all Brown Paper Tickets reviews to prevent fraudulent reviews and keep review quality high. We do not post reviews by company employees or direct competitors. Validated reviews require the user to submit a screenshot of the product containing their user ID, in order to verify a user is an actual user of the product. Hi there! Are you looking to implement a solution like Brown Paper Tickets?